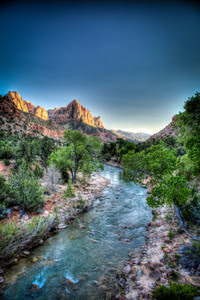 Zion National Park is part of the "Grand Circle" which also includes Bryce Canyon and the Grand Canyon. Consequently, it hosts an astonishing number of visitors including many European and Asian tourists. Reservations for camping are a must especially on weekends and in the summer. Though one campground is first come, first serve, it is unlikely to be available. At our trip in early May, the campgrounds were completely full by 11:00 a.m. so we camped at the only neighboring campground in the city of Springdale. Fortunately, most of the park operates on a shuttle bus system which alleviates all the traffic jams common to other parks (most notably Yellowstone). 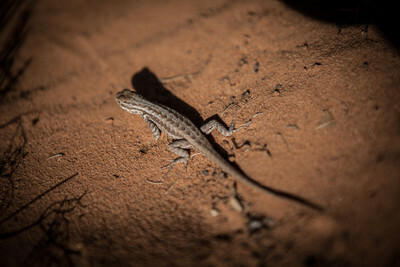 Zion is a desert oasis with deep canyon walls, natural arches, and "weeping" rocks where the scant rainfall creates a hidden spring in the rock walls feeding plants and wildlife. One of the few places the shuttle buses do not go is through a 1.1 mile long tunnel. This side of the park is worth the visit both for the views and the tunnel experience, especially if you have time for the unpaved 1 mile hike to lookout point which takes you practically on top of a natural bridge. The bulk of our visit was spent hiking--with 5 kids including a baby. Most of the shorter trails are paved and we wished we had brought a stroller. The best hike was to the weeping rock where after a handful of switchbacks, we came to a shallow cave where water poured from the rock creating a hanging garden of sorts. 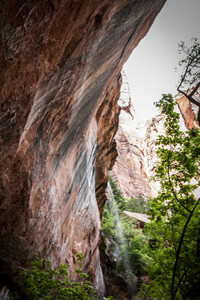 The Emerald Pools is another great family hike that follows parts of the river and also includes a weeping wall. 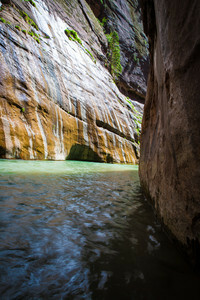 Zion is best known for the Narrows which is too difficult for a family with small children, but the hike to the Narrows is well worth the effort ending where everyone can play in the cold waters of the Virgin River. The Lookout Point, just after the tunnel, was our most difficult hike including a very narrow trail that was difficult at points for the younger children. The view from this natural bridge was fabulous and the kids loved seeing what seemed like a million lizards. We also picked up a set of junior ranger books for our children. This program is amazing! Children aged 5-8 complete the first third of the book, older kids complete two-thirds of the book, and the remaining pages are optional activities. Not only were the activities very educational, they provided my children with something to accomplish and do when the wonders of nature were losing their charm. Some of the activities included writing a poem about the park, doing a word search, identifying plants, participating in a ranger program, and exploring the visitor's center. After the children finished their books, they were offered a patch or badge and given a chance to show their work to a ranger (one of my children had his patch sewed to his souvenir stuffed animal). The ranger program was a surprise highlight of the trip. We attended a program about the delicate ecosystem of the Virgin River, especially the native fish population. The ranger had plenty of hands on examples and games. And the program was only about 30 minutes. In the summer months, plan to float down the Virgin River on tubes where local companies will pick up families a couple miles down stream (the water is too cold the rest of the year). 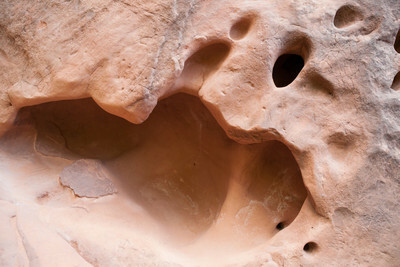 Adventurous souls can also rent gear to hike the Narrows. Though our family enjoyed Zion, both Bryce Canyon and the Grand Canyon are much better. And it would take close to a week to try and do all 3 parks. With my family, I try to limit our camping fun to 3 days at a time. Whether you live close to Zion or another National Park, it is a great way to spend a weekend with your family reconnecting with the wonders of nature.